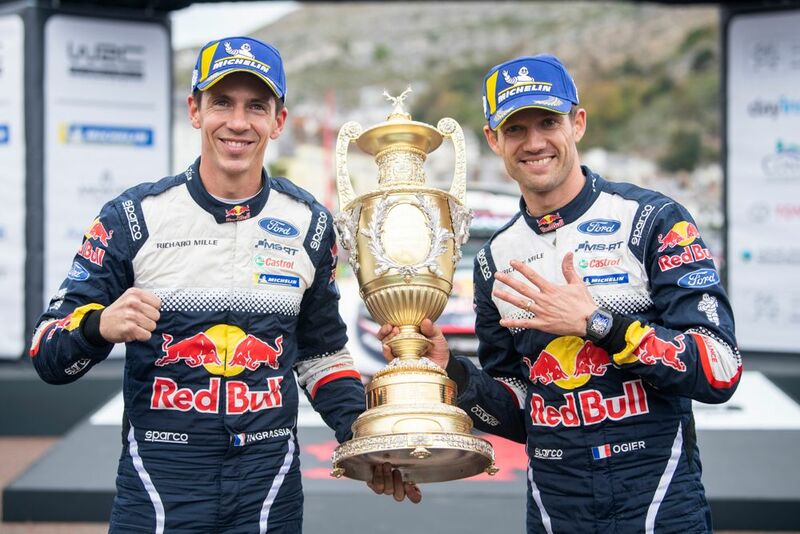 Sebastien Ogier won the Wales Rally GB on Sunday to close the gap on overall leader Thierry Neuville to seven points, with two rounds to go. Toyota’s Jari-Matti Latvala had seized the lead in the morning, only for M-Sport Ford driver Ogier to retake it in the penultimate stage in north Wales. The Frenchman, who has now won five times in Britain, finished with an advantage of 10.6 seconds. Toyota’s Finnish driver Esapekka Lappi completed the podium. Belgian Neuville’s hopes of winning had disappeared on Saturday when he slid into a ditch, but he came back strongly to finish fifth. His hopes of any further gains were thwarted by the final stage being shortened following a crash between two motorcyclists performing in a display team near the finish in Llandudno. Estonian Ott Tanak, who was Neuville’s closest rival after winning three races in a row before arriving in Britain, failed to finish in the top 10 after retiring on Saturday but salvaged some bonus points in the power stage. Neuville now has 189 points to Ogier’s 182 with Tanak on 167. Toyota lead the manufacturers’ championship with 317 to Hyundai’s 297. The next round is Rally Catalunya in Spain on October 25-28.